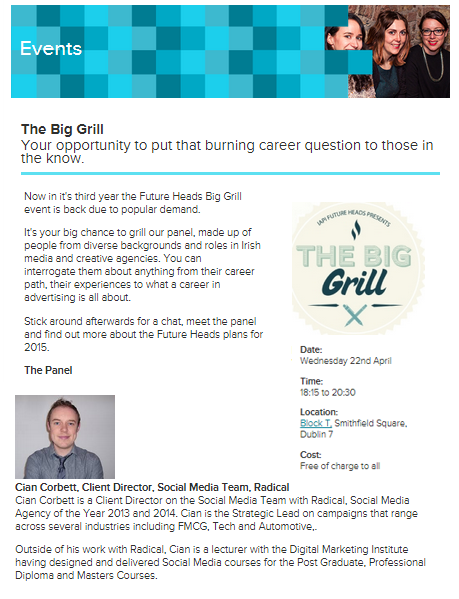 Tomorrow night I’ll be taking part in IAPI’s “The Big Grill”. It’s an opportunity for those starting out or wishing to get started in the Advertising Industry to ask (or grill) existing practitioners. I recall finding these sessions very insightful during my time in DCU so I’m looking forward to answering any questions about getting started in Social and Digital.